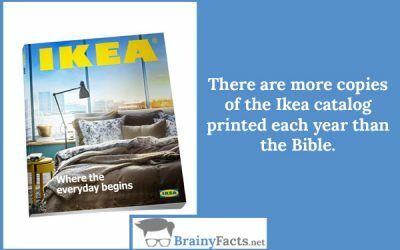 Things You Never Knew About IKEA | Did you know ?! 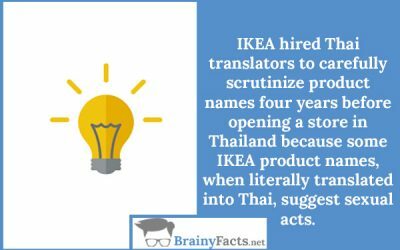 IKEA hired Thai translators to carefully scrutinize product names four years before opening a store in Thailand because some IKEA product names, when literally translated into Thai, suggest sexual acts. 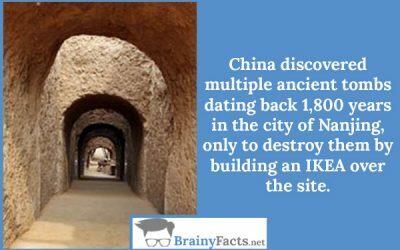 China discovered multiple ancient tombs dating back 1,800 years in the city of Nanjing, only to destroy them by building an IKEA over the site. Ingvar Kamprad, the founder, first started selling matchboxes as a child, before selling fountain pens, cigarette lighters and nylon stockings. The company was incorporated in 1943. The primary reason why IKEA furniture is so inexpensive is its efficiency in packaging. Their chief goal in design is to figure out how to pack their furniture into a compact space and put more of them on each pallet. 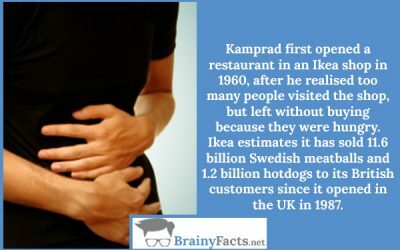 Kamprad first opened a restaurant in an Ikea shop in 1960, after he realised too many people visited the shop, but left without buying because they were hungry. Ikea estimates it has sold 11.6 billion Swedish meatballs and 1.2 billion hotdogs to its British customers since it opened in the UK in 1987. 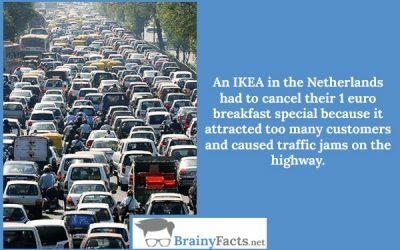 An IKEA in the Netherlands had to cancel their 1 euro breakfast special because it attracted too many customers and caused traffic jams on the highway. 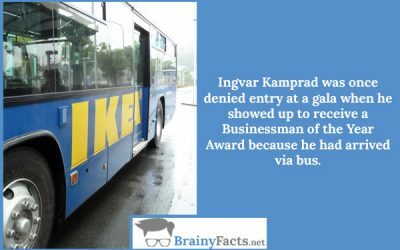 Ingvar Kamprad was once denied entry at a gala when he showed up to receive a Businessman of the Year Award because he had arrived via bus. 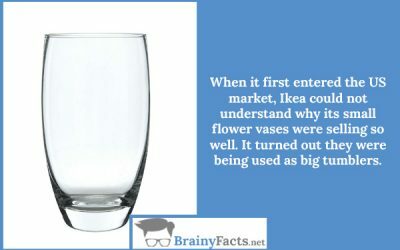 When it first entered the US market, Ikea could not understand why its small flower vases were selling so well. It turned out they were being used as big tumblers. Ikea is an acronym that stands for Ingvar Kamprad (founder), Elmtaryd (the farm where he grew up), and Agunnaryd (his hometown). IKEA uses a technique called ‘bulla bulla’ – a bunch of items is purposely jumbled in bins to create the impression of volume and, therefore, inexpensiveness.